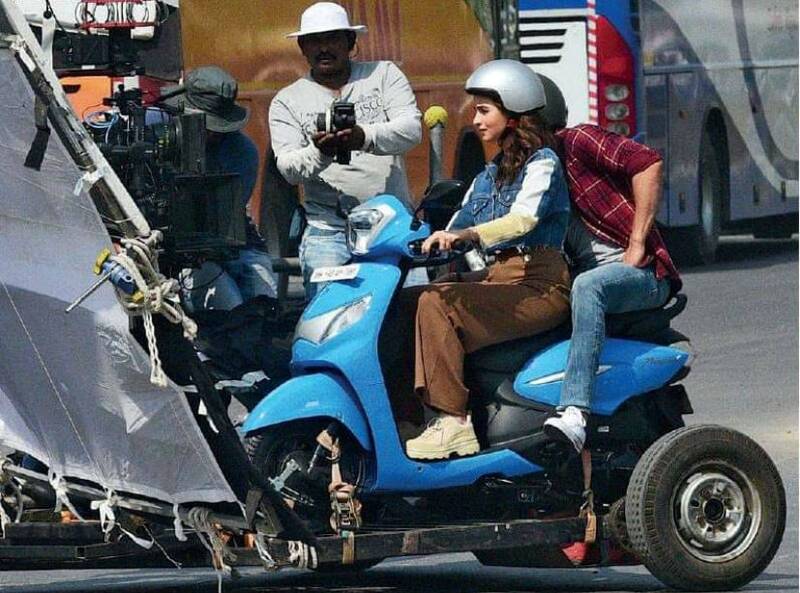 The updated Hero Pleasure scooter was spotted completely undisguised with brand ambassador Alia Bhatt astride during the shoot of its TVC. The Hero Pleasure is the most affordable scooter from the two-wheeler giant and has largely remained the same over the years, in a hotly contested segment. However, it now appears that Hero MotoCorp is working on a comprehensively updated version of the Pleasure scooter that is likely to hit the Indian market later this year. In fact, the updated Hero Pleasure was recently spotted completely undisguised during the shoot of its TVC, with brand ambassador actor Alia Bhatt astride, hinting that the launch is indeed close. The leaked image confirms a bulk of changes on the 2019 Hero Pleasure that will sport an extremely contemporary look over the predecessor. 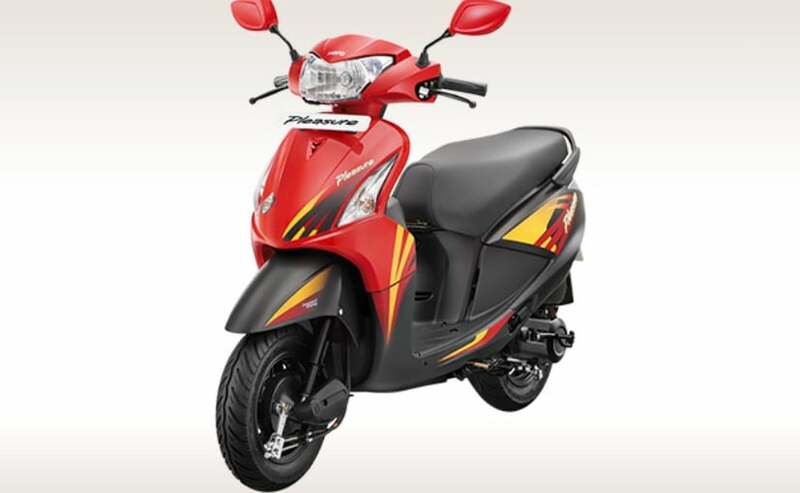 The image reveals a revised design on the scooter with the new front apron that continues to integrate the indicators but gets a modern feel to it. The headlamp design is completely new and is an angular-upright shaped unit that gets a retro-touch while looking all modern. The new headlamp design also hints at a larger instrument console, which will sport a digital display with it, packing more information. Visual upgrades also include changes to the side panel and brushed silver plastic inserts all over. The rear is not visible in the leaked image, but we expect changes to the taillight on the updated Pleasure. Hero MotoCorp could also introduce other upgrades on the model including an LED headlamp, mobile charging port and more as part of the new feature list. The bright blue shade in the image adds to the looks of the scooter. Hero could possibly add its i3S start-stop system as well on the new Pleasure, but the same is yet to be confirmed. Under the hood, expect the same 102 cc single-cylinder engine to power the 2019 Hero Pleasure. The motor is currently tuned for 6.9 bhp and 8.1 Nm of peak torque. The figures could see some improvement, while the efficiency is also likely to be better on the new model. Could Hero introduce the 110 cc motor from the Maestro Edge on the Pleasure? That remains to be seen. Other mechanicals will remain the same including the hydraulic suspension at the front and rear while stopping power will come from the 130 mm drum brakes at either end. The updated model will get IBS (Integrated Braking System) as standard, meeting the future norms. Prices for the current Hero Pleasure start at ₹ 45,100 (ex-showroom, Delhi), which is likely to see a marginal hike as a result of all the changes. That said, the refreshing design will infuse some new life in the scooter that competes against a host of small capacity offerings including the TVS Scooty Pep+, Honda Activa-i, Suzuki Let's and the likes.